The Geauga County Fairgrounds has 150 acres of land in Burton, Ohio. 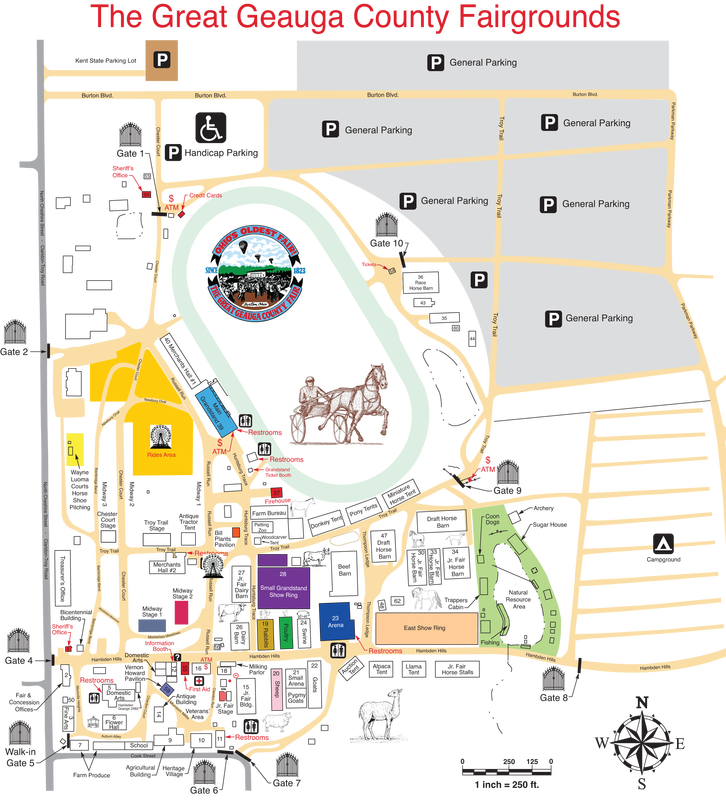 When planning your next event, think of the fairgrounds. Most of the grounds and many of the buildings are available for rent by the public. These rooms are attached and can be rented together for any event. Junior Fair Building: 7,200 sq. ft.
Swine Building: 1,552 sq. ft.
Non-fair times $25.00/night for full hook-up. RV hookup spots: water, electricity, dump station - Non-fair times $25.00/night for full hook-up.